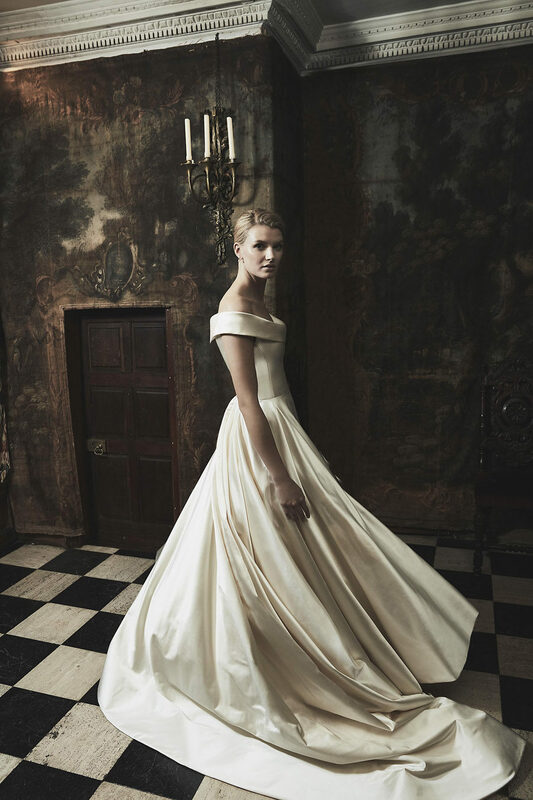 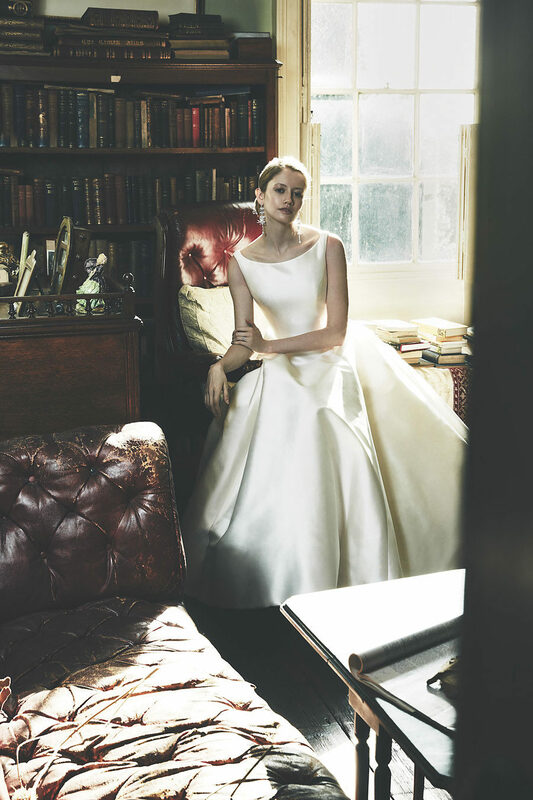 At Phillipa Lepley, 2018 marks the arrival of a large number of new, distinctively feminine, fabulous couture wedding dresses that you will never have seen anything like before. 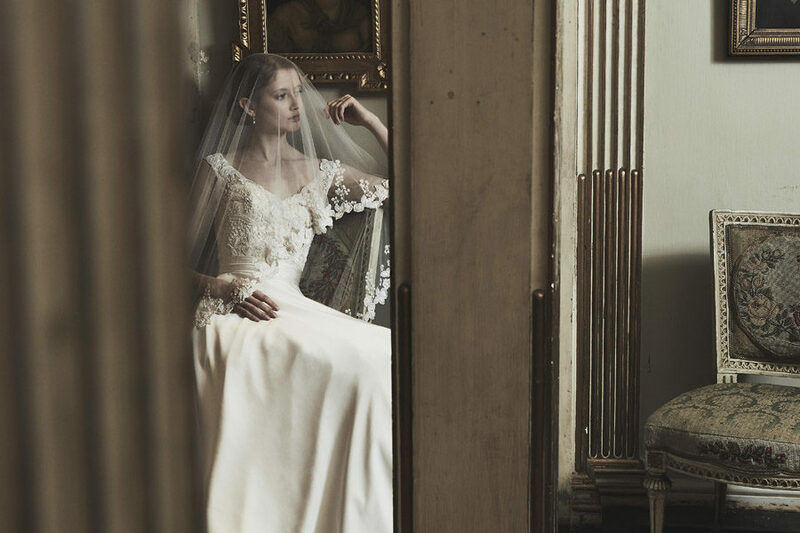 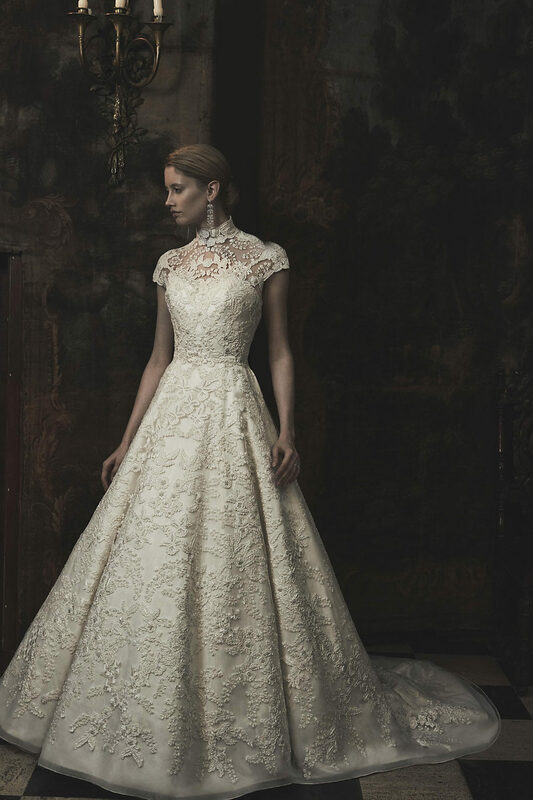 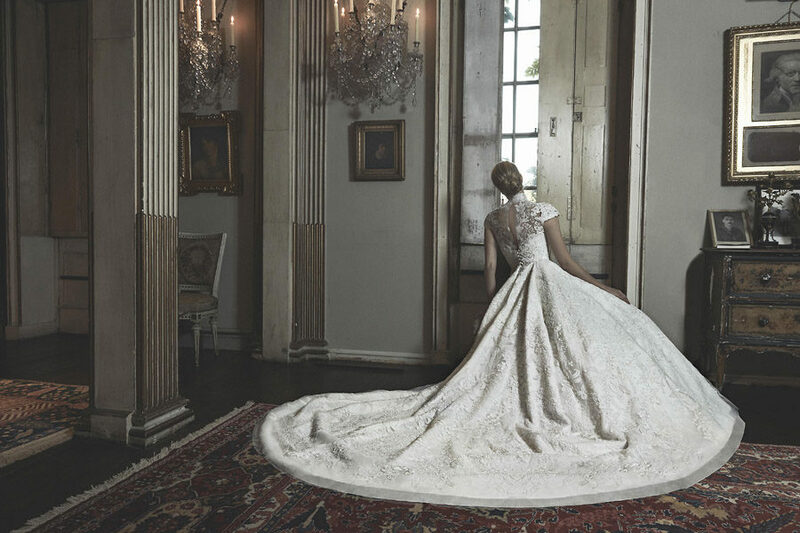 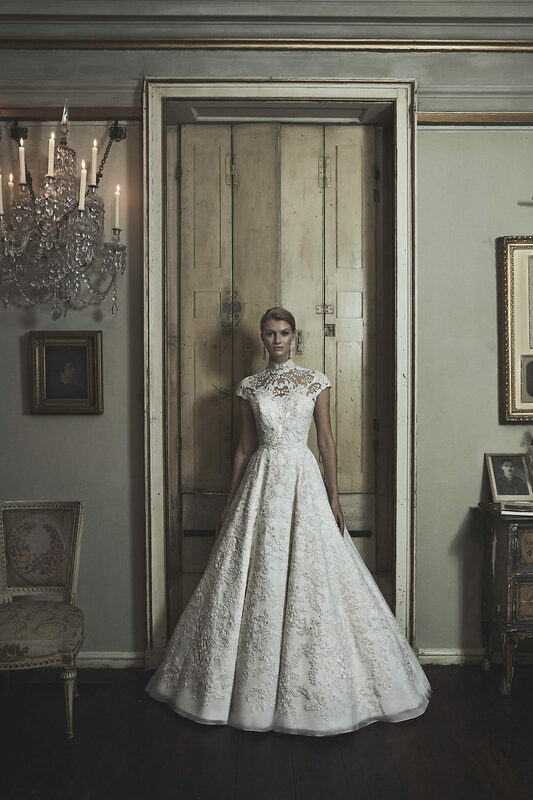 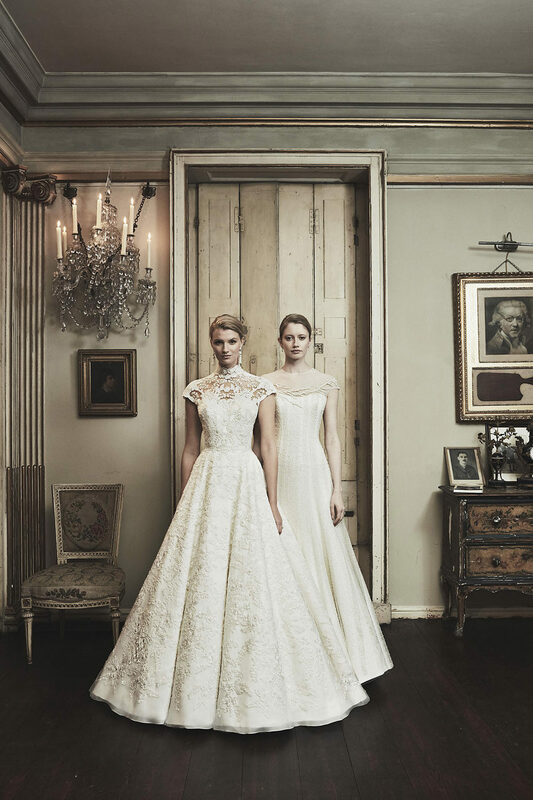 Each dress is delicately handcrafted in London at the Chelsea atelier using fabrics of the finest quality, from luxurious Italian Duchesse satin and intricate French lace to tulle uniquely embroidered as delicately as lace and in-house designed embellishment, displaying unparalleled artistry. 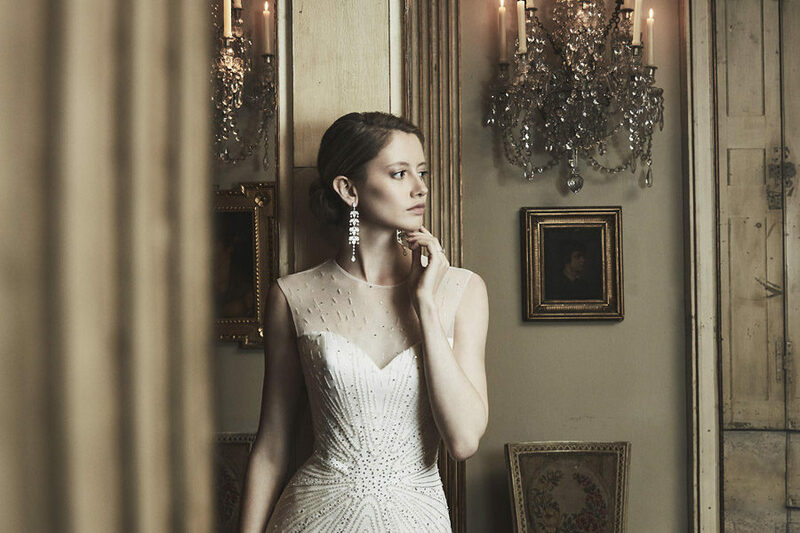 The intricate details found in the natural world, which provide a source of delight and inspiration for Phillipa, take centre stage in the form of hand-embroidery and beading in exquisite floral designs. 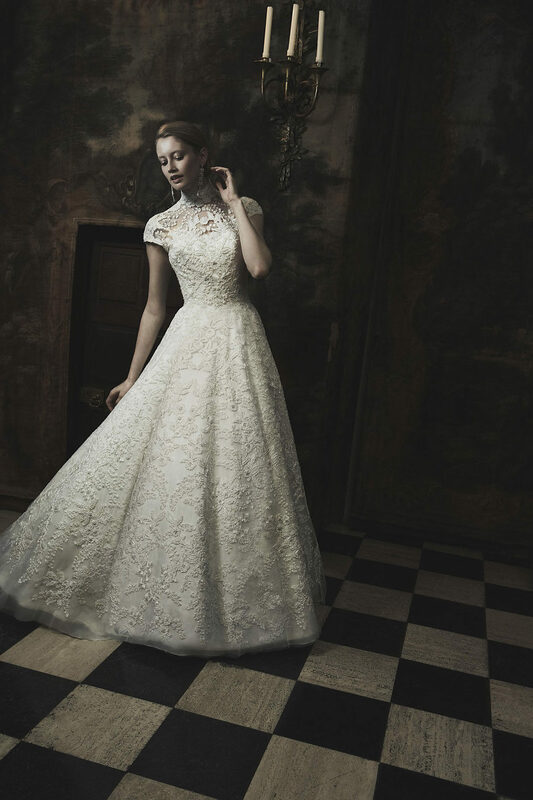 Timeless wedding dress styles, with voluminous tulle skirts, gathered waists, high necklines and signature internal corsetry are the epitome of elegance. 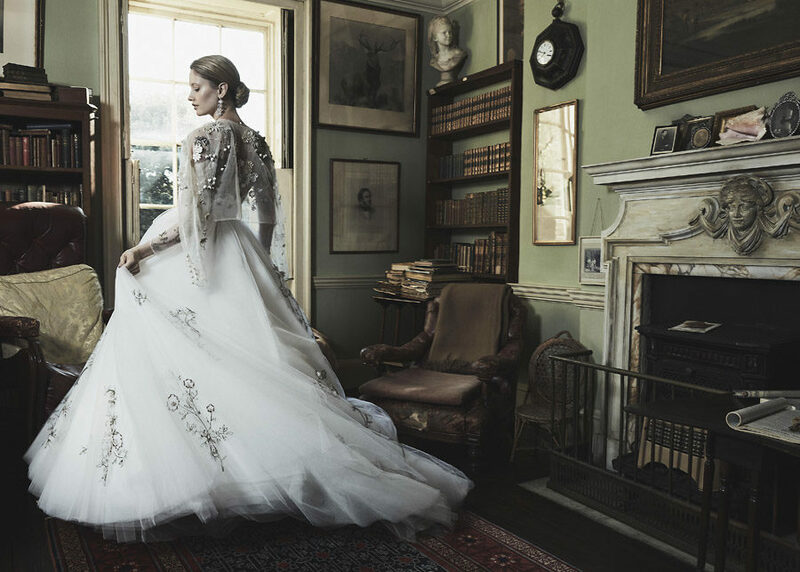 The shapes are inspired by couture houses of the 1940s and 1950s, with contemporary designs embellished by bespoke detailing that is drawn and stitched by hand in London. 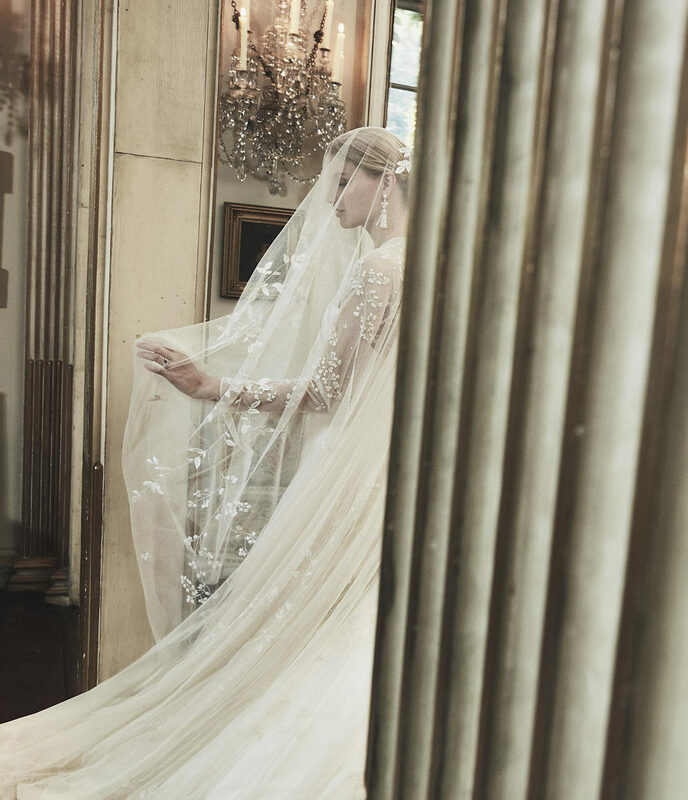 Symmetry has been used in the collection’s most feminine wedding dresses and matching veils to beautifully subtle effect. 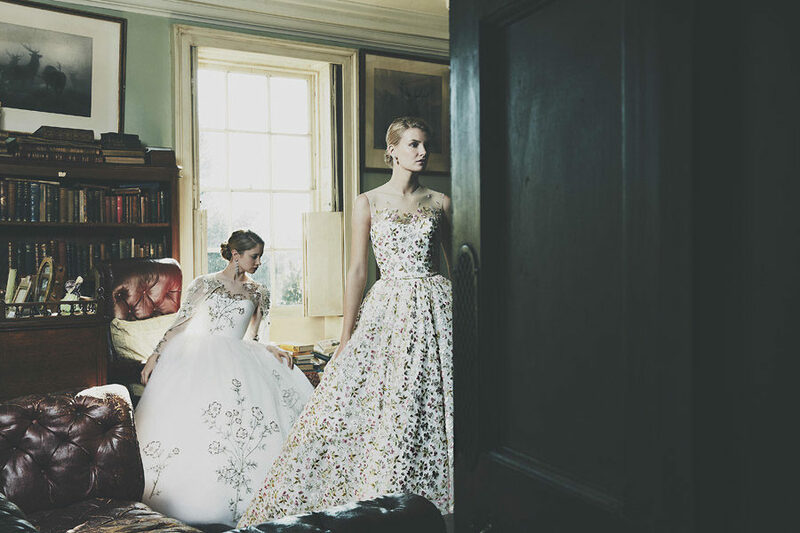 Floral motifs, drawn and hand embroidered onto tulle, cascade down satin bodices and full, layered skirts. 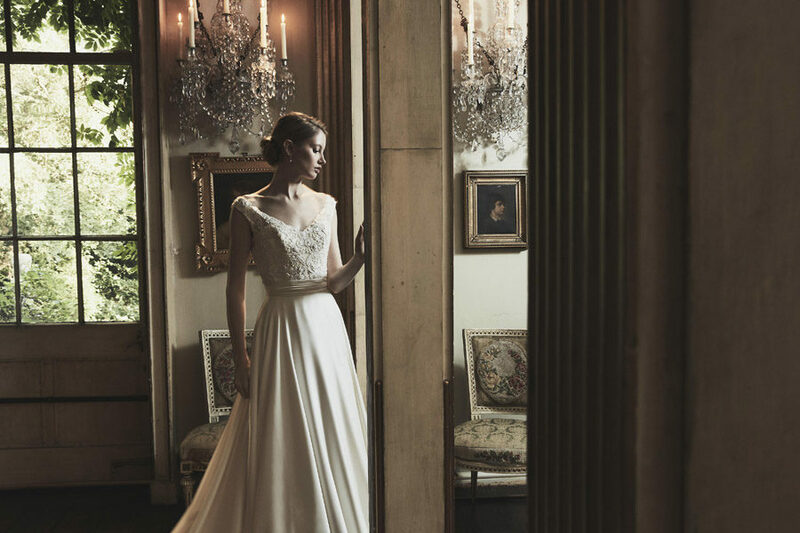 Accents of seed pearls and tiny crystals add twinkling details to each exquisite look. 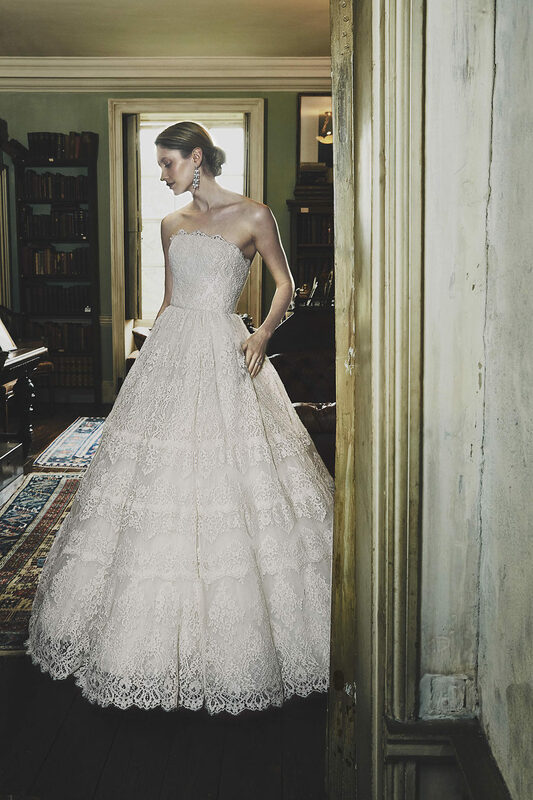 Any element can be tailored; perfected by Phillipa is tulle embroidered so delicately it gives the appearance of lace, with each petal uniquely placed according to the bride’s shape and preference. 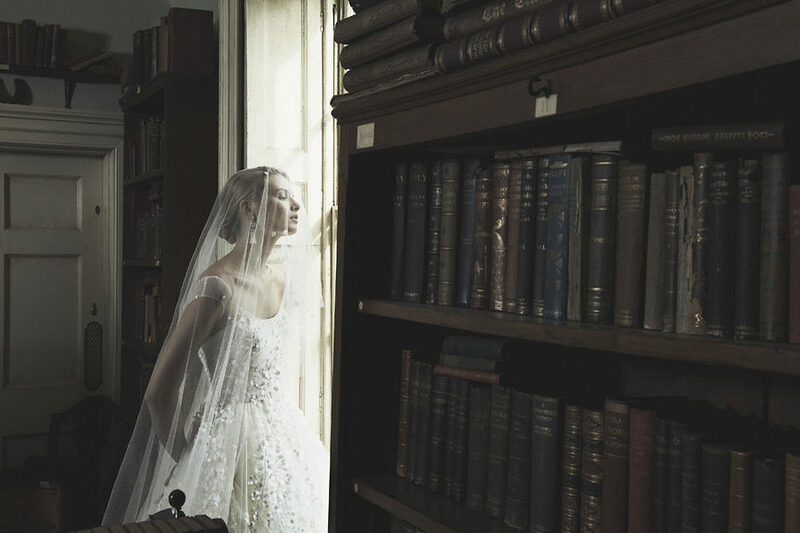 Shimmering tulle twinkles with pearls, and beading cascades down like rain. 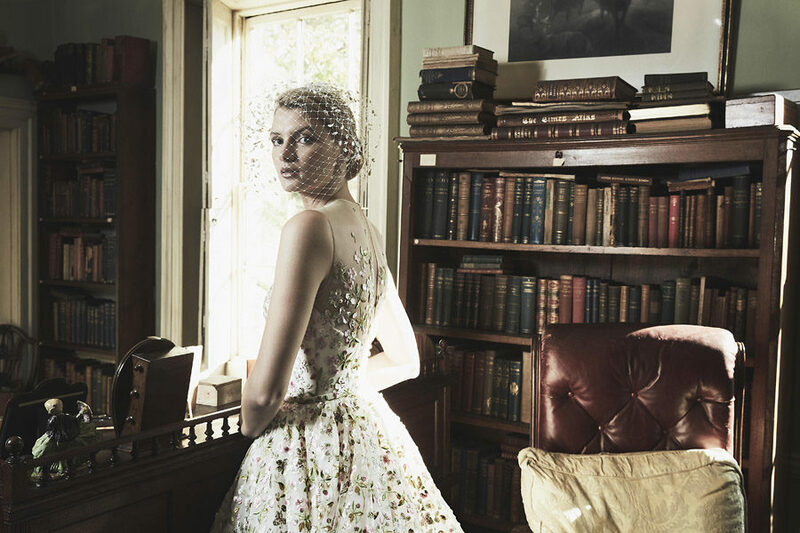 Delicate, feminine flower petals are sewn by hand onto tulle, a highly skilled task. 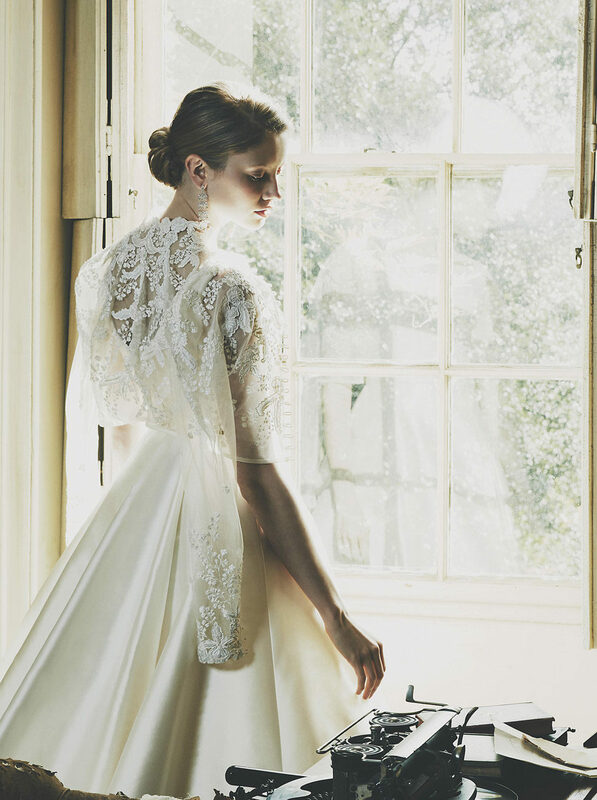 The result is a work of art that from afar may look like lace but is a unique embroidered tulle design bespoke to Phillipa Lepley. 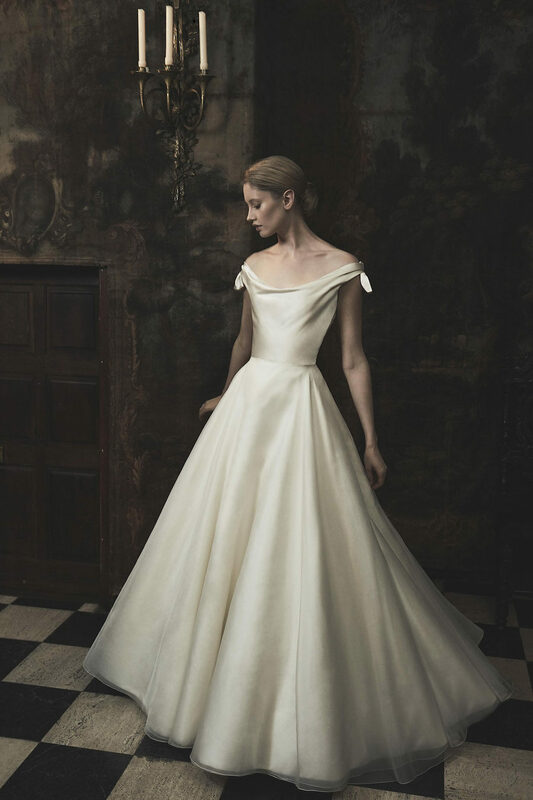 Classic, clean draped designs and slim, body-sculpting skirts allow details, such as buttons, beading and pearls, to shine. 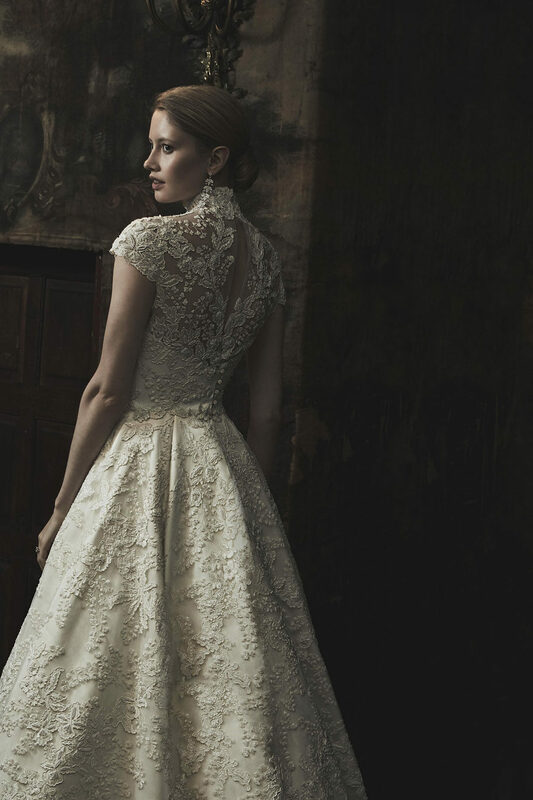 Add subtle sparkle in the form of a glamorous, embellished element, such as an elegant hand-worked veil or jewel-encrusted lace bodice. 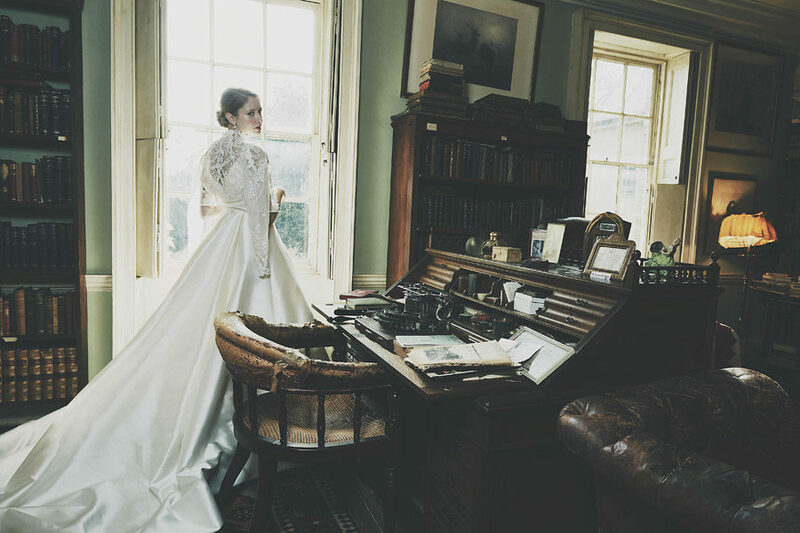 Phillipa Lepley is the destination for couture wedding dresses offering brides and unparalleled choice and service that is second to none. 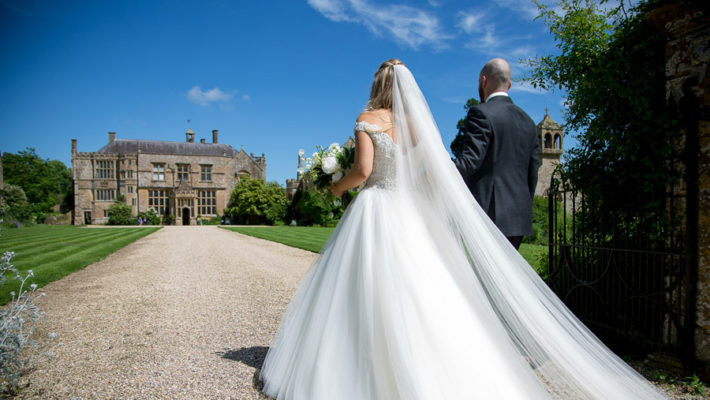 Her true passion for detailed embroidery and craftsmanship and her loyal longstanding team of artisans has enabled her to become recognised globally for her wedding dresses that are beyond compare.